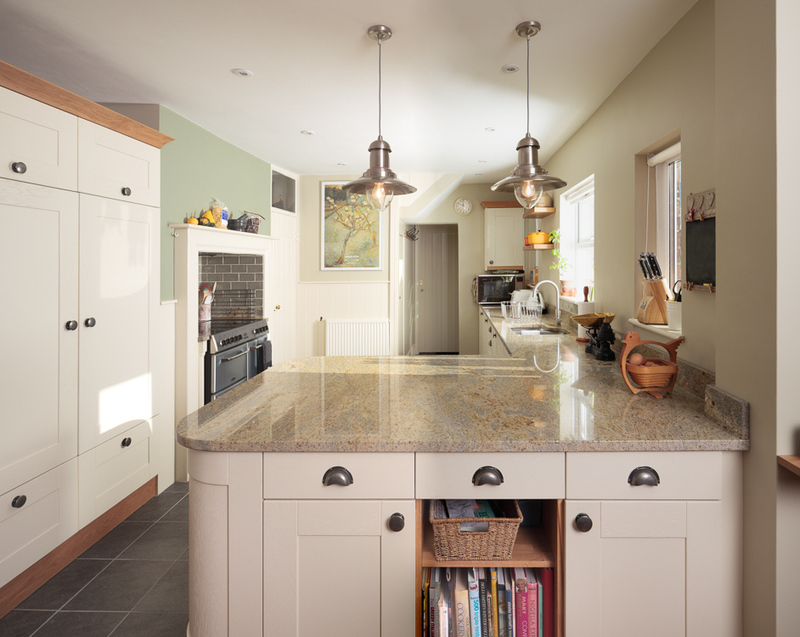 If you’re planning a kitchen restyle, you might be excited about the prospect of having a shiny new cooking space. We have just completed a restyle of our own Kitchen and there were some serious practical issues to think about, before we could truly enjoy the finished look. The good news is, with some careful planning, you can take the stress out of these projects. Here are three suggestions that should help you minimise any hassle. It is possible to order your units, door frontals and worktops separately, but this can cause you unnecessary headaches when you’re planning your revamp. Instead, it’s much easier to opt for a complete package. By ordering all of your kitchen fittings from one firm, you can avoid any headaches or confusion concerning measurements and delivery times, and you can ensure that your finished room has a cohesive, polished appearance. Also, to speed up installation, consider choosing pre-assembled units rather than flat-pack furnishings. 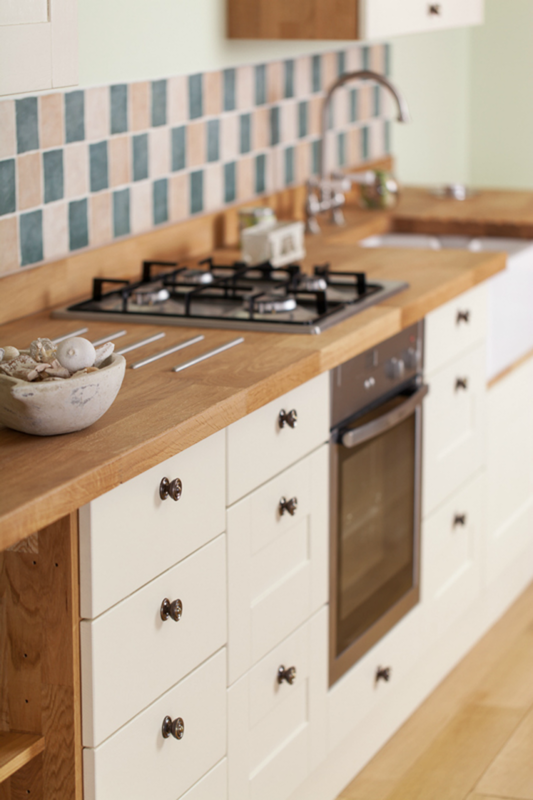 If you’re stuck for inspiration when it comes to selecting your cabinets and worktops, it helps to browse the web. You can check out interior design sites, get ideas from Pinterest and visit the websites of specialist suppliers like www.solidwoodkitchencabinets.co.uk. Whatever style you go for, getting your units, door frontals and worktops from one company is a great way to keep your stress levels in check. Consider your timings carefully too. Installing a new kitchen can be complicated and so it’s important that you have a well-planned schedule. For example, if you want to paint your walls and lay your floors before you install your units, you’ll need to make sure you have the resources to do this before you take delivery of your new kitchen. Creating a detailed timeline will help you to plan each stage of your project to perfection. Bear in mind that you may need to order certain products weeks or even months in advance. Also, prepare yourself for some disruption when the work is taking place. Even an efficient kitchen installation will leave your cooking area out of action for at least a couple of days. I wasn't prepared for how disruptive this would be to our normal routine. So, think carefully about how you will feed yourself and your family during this time. Even if friends and relatives offer to cook some meals for you, the chances are you’ll still need to rely on convenience food, restaurants or takeaways more than usual, so make sure you factor this into your budget. To make life a little easier, we set up a toaster, kettle and microwave elsewhere in our hallway so we could still make basic snacks and drinks even when the kitchen was out of bounds. Especially if you’re operating on a tight budget, you might be tempted to do as much of the installation as possible yourself. However, if you’re lacking the necessary DIY skills, attempting too much can be a recipe for disaster. Getting a professional fitter may cost you a little more, but it will make the process much easier and it will mean a better finish. Kitchen restyles may always have their challenges, but if you follow advice like this, you can avoid the most common pitfalls and make the task much easier.